The effects of high stress hormones can play havoc for health and longevity. It is also the hormone most often linked to the accumulation of belly fat. Cortisol can create a host of pathological conditions in the body and it is the hormone most often linked to fat deposits in the face, neck and belly. As a coach and athlete, I know it is often very difficult to achieve a lean physique if stress levels are high. – Diets high in processed foods. – Chemicals in personal care products. – Busy lifestyle with no balance. – Diets high in muscle meats. YES…. SUGAR CAN HELP REDUCE CORTISOL. This also can be an explanation for craving sweet foods when feeling stressed. NATURAL SUGARS CAN HELP PREVENT BELLY FAT. – Finally, resesrch shows that quality sugars are unlikely to result in fat gain. http://wholehealthsource.blogspot.com.au/…/is-sugar-fatteni…. The RIGHT sugars like ripe fruits, raw honey and dairy products, in the RIGHT combinations, can help lower cortisol. Sugar can help support the production of the active thyroid hormones T3 (metabolism) and can also be a support in preventing the high stressed state that may result in belly fat. I eat a simple sugar, combined with a protein and fat with every meal. My favourite combinations are eggs and orange juice, yoghurt and honey and prawns, coconut oil and fruit. 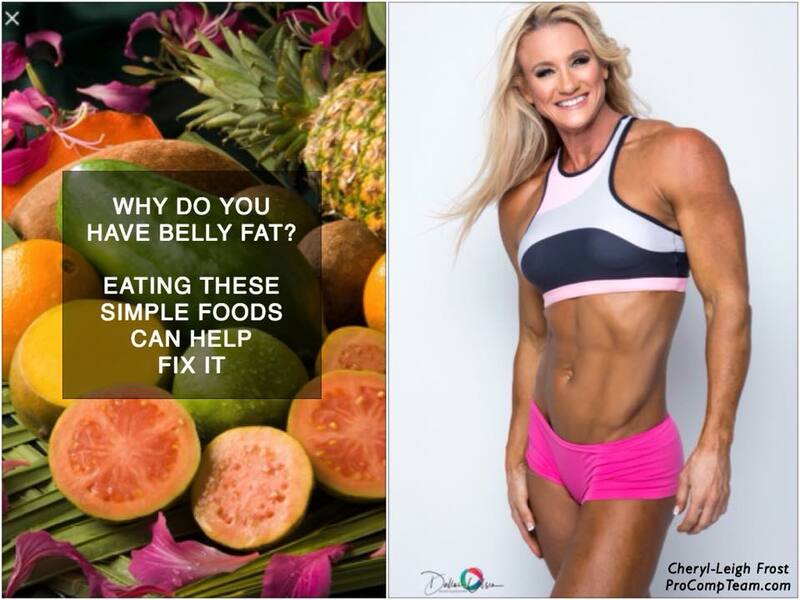  PROCOMP’S PRO-METABOLIC NUTRITION SYSTEM E-BOOK – $19.95 (understanding how nutrition and lifestyle can impact metabolism, hormones and fat loss – includes sample meal plans. written by both Blair and I).  100 PROCOMP CONTEST PREP SECRETS information for competitors about dieting, metabolism, and hormones etc. $24.95 (written by both Blair and I). ← 10 THINGS IVE LEARNT THAT HAVE IMPROVED MY LIFE.